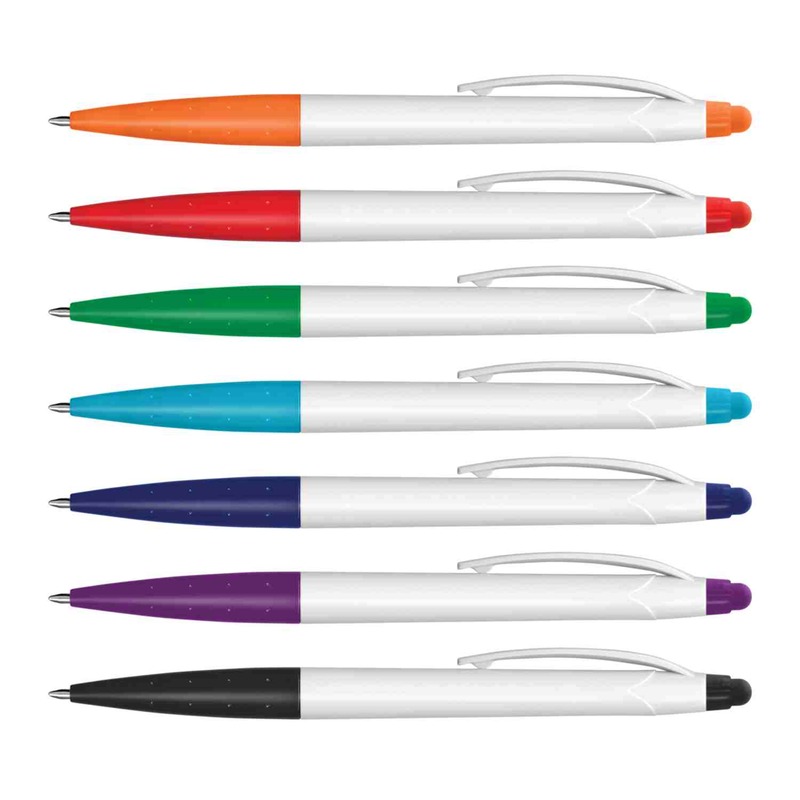 A colourful plastic stylus pen with a streamlined design. Eye-catching with a snazzy design, white barrel and coloured contrasts. 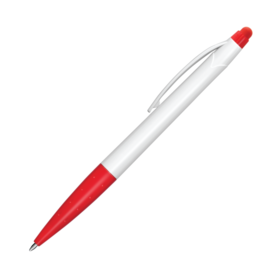 These are a fantastic giveaway plastic stylus pen that hosts 500m of black writing ink and a tungsten carbide ball for improved writing quality. Many branding options available.